If you know me you understand how much this word needs to be part of my vocabulary. I love nothing more than the wonderful, the strange, the unusual. I think the world is filled with treasures, and it is up to us to notice and appreciate them. So today, with F being the sixth letter of the alphabet, I thought I’d give you a peek at six random things that I’m celebrating as ferly in my world. 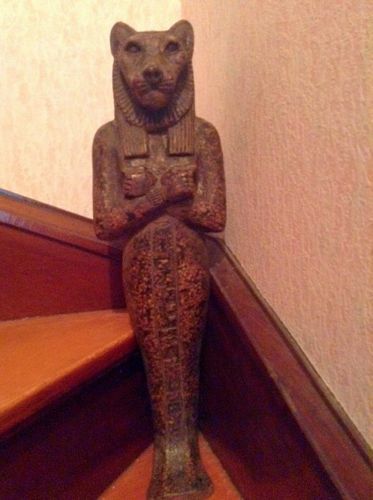 I pass this statute of Sekhmet many times daily as I walk up and down my stairs. I have a deep and abiding relationship with this Egyptian lion-headed goddess perhaps known most widely as a warrior goddess. But she has given me thirteen tenets to explore as part of her teachings, and a day does not pass without my considering what wonderfulness I am offered by each of these guiding principles. 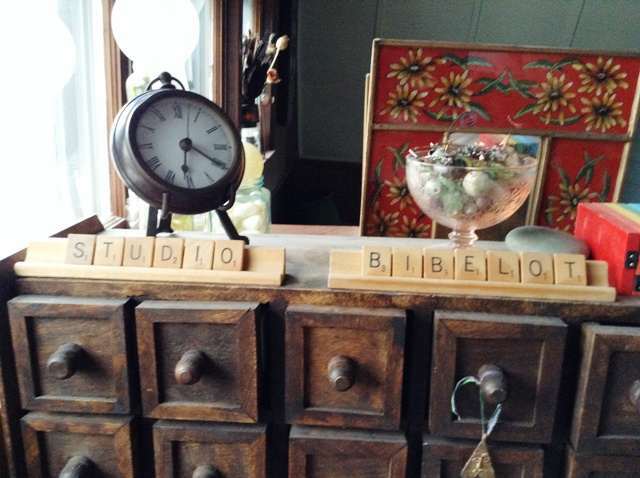 The name of my studio is Studio Bibelot and as you can see here, one of the things I adore are apothecary chests with their multiple drawers that I like to keep filled with ferly treasures. Bibelot is defined as a small object of curiosity, beauty, or rarity; a trinket; a beautiful bauble; a book of unusually small size. And bibelots are what I like to create. I love creating sacred objects and talismans, but I also create jewelry, bind books and create journals and zines. I play with paper, write poetry, and send out love letters in my studio. I am the first to admit I have a great love for Mercury in all his guises. I have been strongly connected to this energy as embodied by Mercury, Hermes, Thoth, and the Sirian Archangel Hermes. This is Messenger energy, Divine Communicator energy, and the ability to travel between worlds. I identify with all those things. And what’s not to love about a helmet with wings and winged sandals? That’s certainly a fashion statement I can get behind. 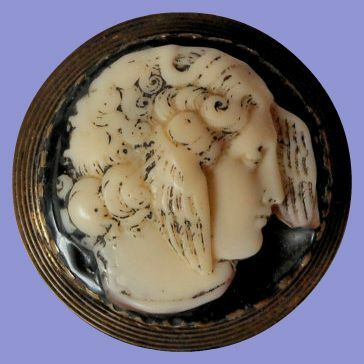 The photo is one of my favorite ferly treasures, a wonderful vintage Victorian Revival style brooch of Mercury/Hermes. Isn’t it lovely? Cave pearls are truly ferly treasures in my mind. A Wikipedia article states: “Cave pearls form when water dripping into a cave loses its carbon dioxide and precipitates calcite. A cave pearl forms when the water is moving too vigorously to form a stalagmite. 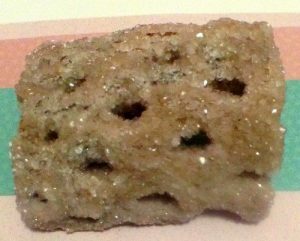 A nucleus of matter (such as a grain of sand) becomes coated with calcite, and the current then provides a rotation to the nucleus in such a way that it is coated evenly. In this manner, concentric layers build over time.” Amazing isn’t it? I’m crazy about bleeding hearts – what’s not to love about branches filled with hanging hearts? It also delights me that these beauties are known as Venus’s Car. Isn’t that a fabulous ferly name? I planted my Bleeding Hearts years ago in honor of my grandmother who loved them, and now they’re intricately tied to my memories of her. So there you have it, a look at a few of the ferly, strange and wonderful things that inhabit my world. What about you? What are you cherishing? What unusual treasures delight you? Do tell – you know I love to hear. Well, your items shown are truly beautiful Deborah thank you for showing us. I’m back for a while in Johannesburg, up from Plettenberg Bay where most of my perly treasures are in my study there but I have a few things on my makeshift study desk here in Johannesburg which will go down with me when we make a ‘final’ move. One of them is a fertility goddess in dark brown wood. Another is a beautiful crystal .. Your treasures sound lovely Susan. I hope you’re time in Johannesburg is lovely. Thank you for the walk through your world. It’s always interesting to see other people’s treasures. Your word today is very appropriate for many of us! I love seeing peeks into other people’s worlds, too, Margaret. We live in a perly universe and there’s much to be curious about. What an absolutely wonderful word! Not only its meaning, but the word itself, just saying it! You certainly do have some ferly wonders! I love the peek into your studio! That apothecary chest reminds me of the old library card holders. I don’t know if I have anything ferly but I do have a stone collection guarded by a little man in an overcoat and a little drummer boy on my worktable. It’s fun seeing where people work isn’t it? Your stone “guardian” makes me smile – how fun. Those cave pearls are very interesting! Indeed Dena – and thanks for stopping by. Ferly is my new word. And that crystallized cholla cactus—super-ferly! Love all your treasures, Thank you for sharing them. So glad you found a new word Josna – I always delight in that! And the cholla is certainly amazing isn’t it? Magic abounds! To be spiritual is to be amazed – I like that. I love the sunrise and sunset and always feel amazed with the rotation of the eartn and how the sun always comes up and goes down, and all the colours that greet us every morning and evening. Beautiful Duncan. There’s something powerful beyond measure in mindfully observing the gifts nature gives so freely. 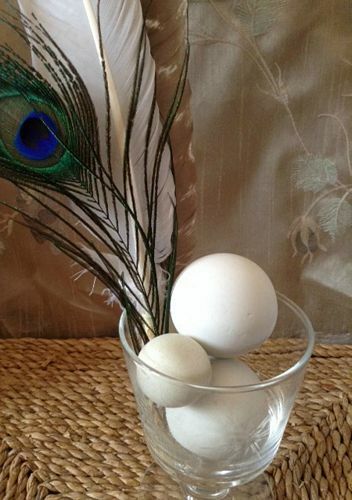 What a lovely glimpse into your studio and treasures Deborah and a fabulous word:) We visited a cave in France last summer that forms calcified objects but there were no pearls – I bet they smell beautiful too. Oh the cave sounds lovely Fil. I’ve felt an inexplicable pull towards caves in France for a while now although I’ve yet to visit any. I must say your post is wonderful and ferly! Thanks for teaching me a new word through your beautiful post. You have a unique collection of things. 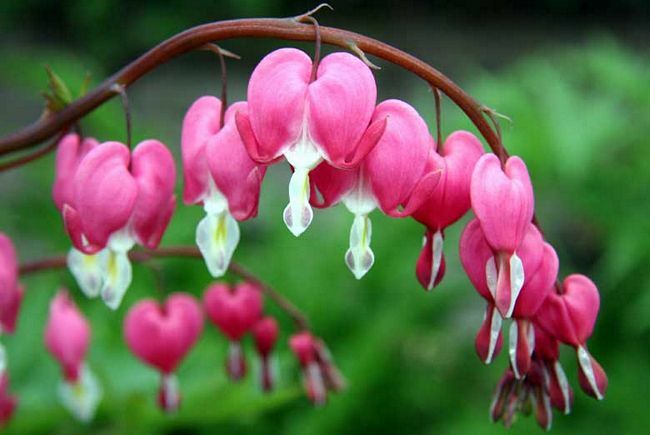 Bleeding heart is very attractive and I am sure you remember your grandmother very fondly. Thank you for your kind words Kislaya, and for stopping by. Wishing you a wonderful A-to-Z challenge, and many ferly delights always. Nice to meet you during this A to Z 😊 I enjoyed stopping in and will be sure and visit again!! Thanks Stephanie – nice to meet you as well. Happy A-to-Z-ing! They’re certainly magical to me as well. 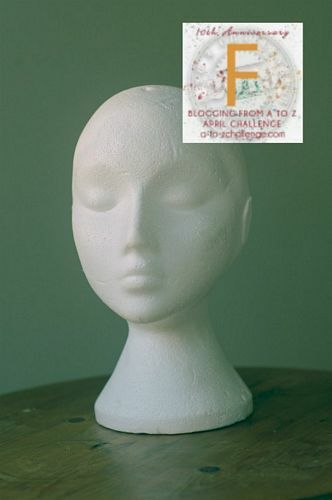 Your blog is like a new word everyday! LOL – I am enamored of words and love sharing my favorites. I have never heard the world “ferly”, (even my auto-correct thought I meant to write “ferry”) but then again English isn’t my first language. Interpreting this expression I’d say my ferly phenomenon are rainbows. Love them. They make me so happy! Coincidently (or not) St. Patrick’s Day is my favorite holiday. Well ferly certainly isn’t in common usage Tamara – I doubt many people even native English speakers know or use it. That’s part of why it delights about unusual or obscure words. It’s like finding treasure and then making it a point to share it with others so they can delight in it as well. Ha ha, the crystalized cactus looks delicious, like some kind of sugar-encrusted biscuit! And I would love to have a cave-pearl to hold. I collect all kinds of bits and pieces which in fact aren’t strange or unusual at all, but are certainly wonderful: woodpecker feathers, shells, seed pods of various sorts, bits of paper wasp nest, pebbles, as well as little knick-knacks and trinkets. They’re a pain to dust, but they do remind me of how much the world offers to delight us. Oh Anne, we are truly kindred spirits in what we love to collect. And I love your take on the crystalized cholla – perfect. I often work with vintage beads in the jewelry/talismans I create, and I have a penchant for old “sugar” beads – the Japanese did them exquisitely, each a perfect sugar encrusted delicacy. Huzzah for this sentiment! I’m ready to ferly! Wow, I don’t think I’ve ever seen a crystallized cholla, even here in the land of chollas. I’ll have to look more carefully when out in the desert. I’m pretty sure it was crystallized by placing the dried skeleton in a supersaturated borax solution and allowing the crystals to grow. I remember how much fun I had as a kid growing crystals, and I’m so enamored of Israeli artist Sigalit Landau’s Dead Sea salt-encrusted objects that I want to experiment and play so much more. Thanks Helen – I appreciate you stopping by.